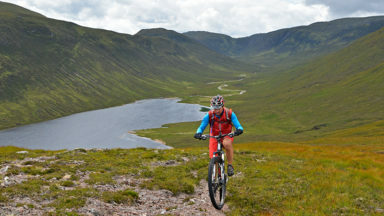 The guidebook covers 30 multi-day backpacking routes in northern Scotland's highlands and islands. 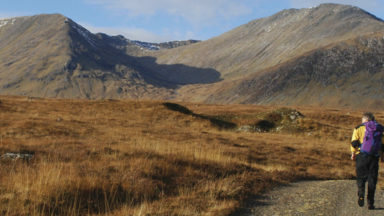 Routes take walkers along rugged coastlines from the Shetland Islands to the Rough Bounds of Knoydart, and across mountain ridges from northern Skye to Glen Affric. Routes of 2, 3 and 5 days. January to March most routes snow-bound. April to June and September to December ideal. July and August bring plagues of midges! Wilderness backpacking routes of 2–5 days for the experienced hillwalker/wild camper. Good fitness and navigation skills essential. Sleeping in the wilderness and waking to a sunlit dawn of cackling grouse on vast, open expanses of purple moorland. From a mobile, phone the international emergency number 112 – this will connect you via any available network. 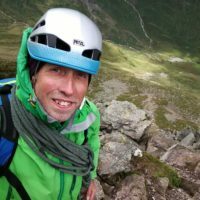 Thank you to John Cleare for providing us with information about Tom Patey and the first ascent of Am Buachaille. The sea stack was first climbed in July 1967 by Tom Patey and John Cleare but this was not how Tom lost his life. He died descending from the first ascent of The Maiden, a double stack off Whiten Head in May 1970. 'It’s an interesting point to note, but a fairnumber of us Scots are more familiar with European locations than we are with our own country. 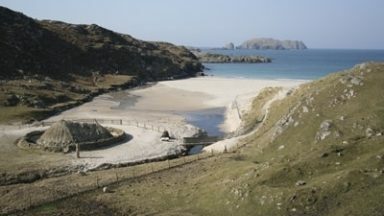 This may be, in part, due to the number of bargain holiday destinations abroad, but with increasing emphasis on ‘Scottishness’, Gaelic and our heritage, exploring our own country may just be creeping into the minds of many. 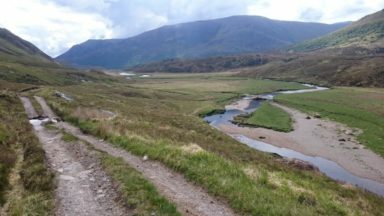 And rather than take the easy way out by joining a coach tour of the ‘important’ bits of Scotland, or taking the car and staying at generic hotels and inns, there is always the option of roughing it a bit, and backpacking through the wilds to find out what this country is really like. Since this isn’t quite the easy option that can be comfortably handled by your local travel agent, a guide to how to partake of the great outdoors is a recommended first step. Such a guide has been produced by the experts in the field (if you’ll pardon the pun) at Cicerone Press, who recently published the third volume in their series ‘Backpacker’s Britain’. This volume concerns the Highlands and Islands of Northern Scotland and is comprehensively written by Graham Uney who operates Wild Ridge Adventures, a company specializing in just the very holidays to which I referred above. The book covers a total of thirty multi-day trips covering the area north of the Great Glen along with Skye, the Outer Hebrides and Orkney and Shetland. Before launching into descriptions of each particular hike, Uney comprehensively covers the dos and don’ts of backpacking, even down to the composition of a daily diet to make sure you’re not stuck in the wilds suffering from hunger knock. 'The author Graham Uney has used his extensive knowledge to provide the reader with a really useful guide giving detail of Tourist Information, transport links, accommodation and supply points. Each day has a detailed description of the route and terrain leaving the reader in doubt what to expect. 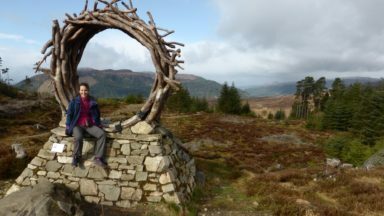 The book is aimed at anyone with a love of wild mountain and coastal walking. I liked the layout and overall feel of this backpackers guide and even if you don't contemplate walking the routes it is good enough to inspire you or give as a gift to a friend. 'In my early days as a mountaineer, the Highlands and islands of Northern Scotland became a regular haunt of mine. For me, the mark of a good guidebook is one that makes you want to get out among the mountains, and Uney's guide has that in spades. 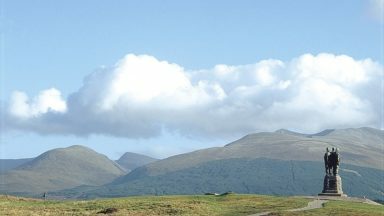 The Highlands of Scotland are one of Britain's great wilderness areas, particularly the far north. Backpackers venturing into this remote area get a true sense of being away from it all, and this book gives a superb starting point for those wanting to explore this wonderful mountain region.